In film photography, monochrome traditionally refers to black or white images. For this challenge, we want you to see the world in one color scheme and give monochromatic a brand new meaning. To be considered as monochromatic, your photograph has to be dominated with a single color or different variations of one color. Think of your favorite hue (For instance: red) and its many tints (pink) and shades (maroon), then combine them to create an eye-catching and evocative image. 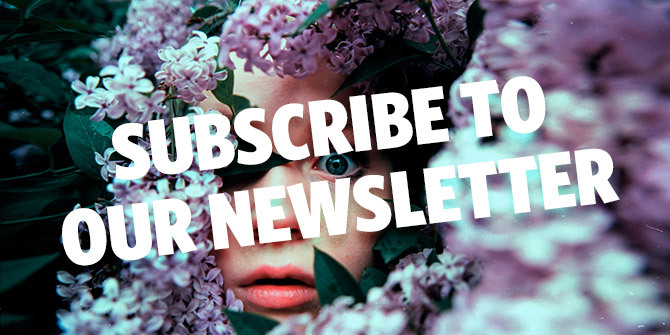 And to make this round even more exciting, we teamed up with PhotoKlassik International to give a lucky winner a one-year subscription of quarterly issues worth 80 EUR as a bonus prize! An independent print magazine about the entire world of analog photography, PhotoKlassik International focuses on bringing inspiration and information. Their English-language magazine is written by photographers for photographers and offers not only book-quality reproductions, but also articles about artistic inspiration, techniques, and equipment. Take a peek at their latest issue here. Experimental Rolls: Shoot with films that are notable for producing a dominant color like redscale films or the LomoChrome Purple. Understand their unique properties to make the most out of them! Each participant may submit up to 10 photographs. This competition serves as the qualifying round for the Game Changers category of our TEN AND ONE Annual Lomography Photo Awards 2019. Please login to submit to this competition. Alternatively you can also upload directly to this competition. Just select an image file, enter your email and submit. We will send you an email to confirm the submission – please note if you don't confirm your photos won't enter the competition.